Home / JOBS / SMS / Sent Personal SMS At Lightning Speed And Earn 0.02 Per SMS. Sent Personal SMS At Lightning Speed And Earn 0.02 Per SMS. Send SMS to any Mobile networks in India with ULTOO. ULtoo offers a unique and innovative platform to the users across India to send FREE SMS at lightning speed and rewards its users with FREE mobile recharge in return. Its free and easy to send, only registration is needed. 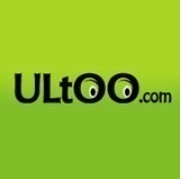 With ULtoo you can stay in touch with your loved one at zero cost, and you can also earn money from this. The amount you earned can be redeemed in the form of mobile recharge. It have included all the major telecom operators for your maximum benefits. An average Indian sends 100-200 SMS in a month and ULtoo.com provides a unique platform to these users where they can send free messages and get rewarded with a mobile recharge in return. Moreover, its incredible speed of sending SMS adds more to its beauty.To join with ULtoo Start with registration and just click on the Sign up link, which would not take more than a minute ULtoo.com has been designed by keeping every possible complication in view, Its user may face. It has an easy to use interface. The website is user friendly and provides guidance to users at every action. You get paid starting from the very first action of yours i.e. Registration. Other activities which pay you are: E-mail verification, Successful referral by E-mail /SMS, Every time you send an SMS. So, the more you send, the more earnings go in your wallet. Earn Rs. 1 For verifying your E-mail (first time only).